77 HEARTBREAKS (YUEN LEUNG TA 77 CHI) not only almost reached HK$ 10 million in Hong Kong but opened in the Mainland as the top Chinese film, in terms of both admission rate and reviews. Director Herman Yau Lai To and the team were truly encouraged. 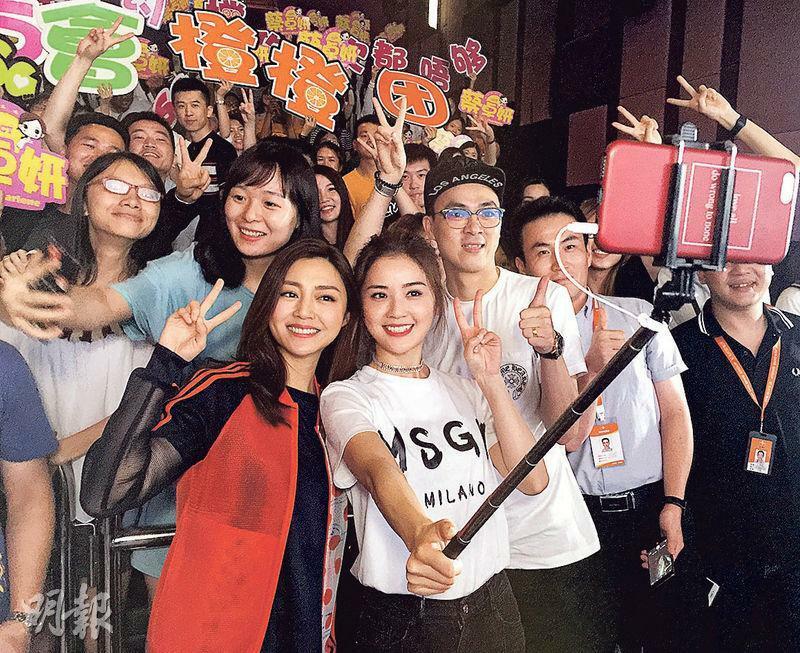 The actors not only attended audience appreciation events for days, Charlene Choi Cheuk Yin and Michelle Wai Sze Nga were busy promoting in the Mainland. Ah Sa went to Guangzhou and Dongguan and met up with Wai Sze Nga in Shenzhen. 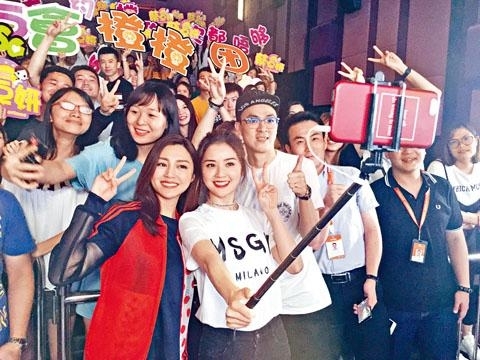 Yesterday Wai Sze Nga promoted in Zhuhai as the final stop. The fans were very passionate. Some even followed the tour to support the team. Ah Sa was excited and happy about the good performance, as she said that a sequel would depend on everyone's support.